Unique Handicap Scheme The runbritain handicap gives runners of all abilities the chance to record their progress and compare their results across a variety of distances and terrains. Search for any distance and any age group. Find out where your times puts you in the governing body's official UK road rankings. 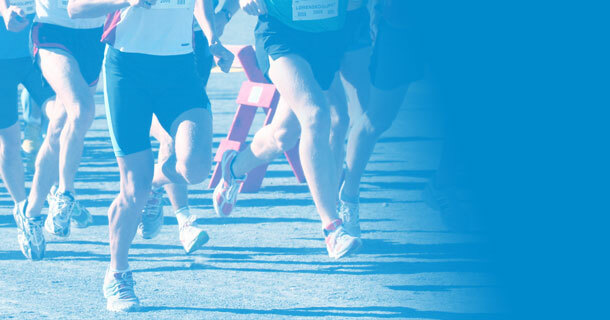 Be one of the most improved runners on the site each month and win prizes. In 2018 from March to September, at the end of each week, any runner who has improved their handicap in that week and has clicked their clock will be in contention to win a prize. 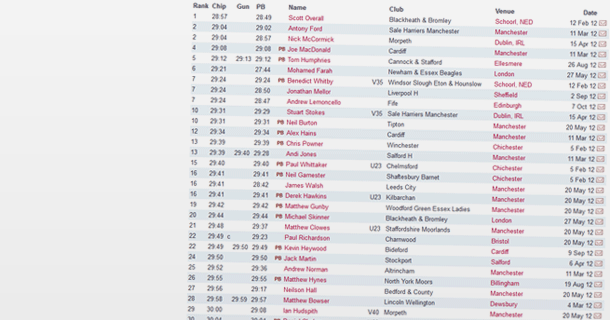 Please click here to see the leaderboards and further details. runbritain's revolutionary handicap scoring system is designed to give runners of all abilities the ability to benchmark their progress and compare their results across a range of distances and terrains. We include road, multi-terrain, track, cross country and trail races so now nearly all events that are licensed by UKA/runbritain can contribute to your handicap. 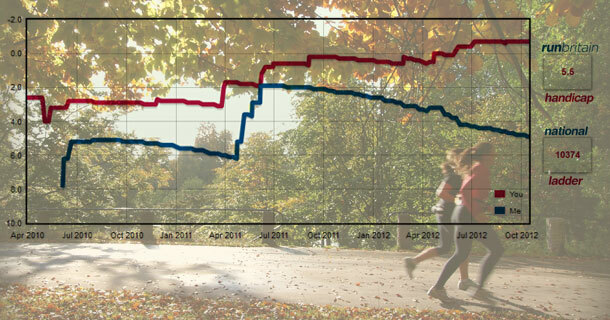 The algorithm we use allows a direct comparison of the current form of different runners to be made. It does not matter if the races if you do were in tough, moderate or fast conditions as the algorithm asesseses the difficulty of the course on the day so that you have as good a chance of improving your handicap on a hilly course on a tough day to a flat course on a calm day. Click here to claim your handicap. The scoring system, which has been developed in conjunction with the team behind the Power of 10 website, rewards regular racing and factors in a degree of difficulty for slower courses. The score is derived from all your race results in UKA licensed road, multi-terrain, track & cross country races from 2010 although you only need to have done one race since 2010 to claim a handicap.